Being part of a team is a fun and rewarding experience. 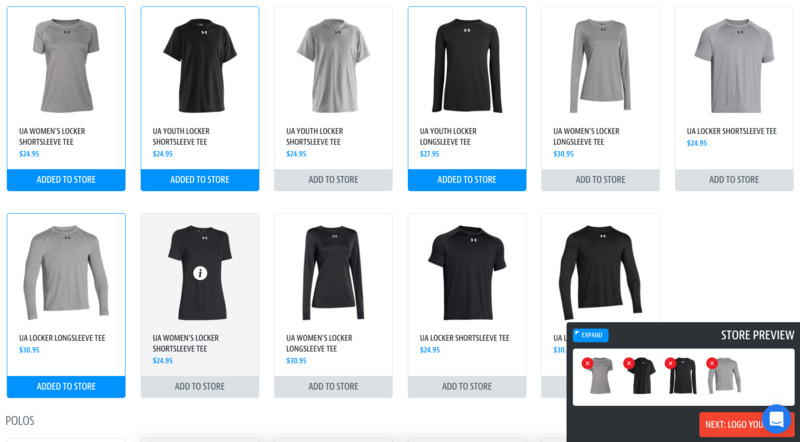 SquadLocker is here to make buying apparel and gear feel the same way. With The SquadLocker Store Builder; you can choose from over 30,000 items manufactured by the industries most respected brands. You can filter by color, sport, brand, category, or size group in the 'Start Here' bar at the top. 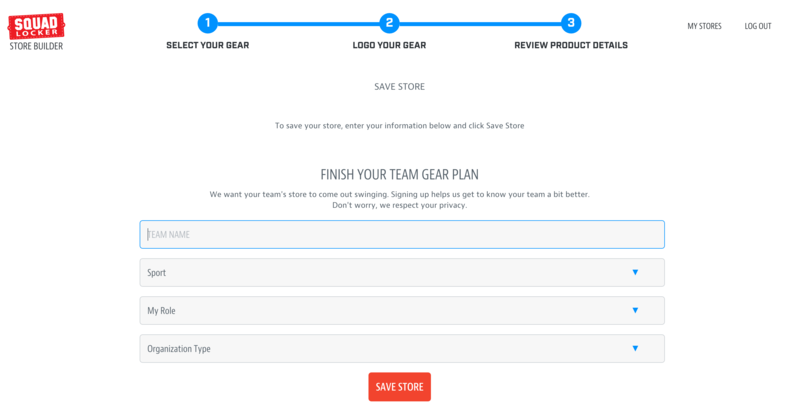 When you're done selecting products click the 'Logo Your Gear' button to upload your team's logo. The Store Builder helps you create a one of a kind experience for your players and fans. This is where the magic happens. Add your logo and see your team's look come to life instantly. Your team name equals your team pride. Help your players know they belong. Let us know what sport your team plays. It’s that easy. In three simple steps, you are ready to launch a store and share with your team. Sounds like you want even more custom features. Looking for personalization, secondary colors, and more? From Purple to Pink, Crimson and Vegas Gold, we have them all; choose the right colors to match your team's look, and don’t forget to add a few neutral colors like grey and black. Many coaches want to make certain items mandatory in order to participate on their team. These items can be labeled as Essential and listed in the first section of your store. Just check the ‘This Item is Essential’ box. Want a full front chest logo on hoodies and a smaller crest for hats and polos? No problem. New Logos can be added for each garment. Select this feature to allow your teammates to add their name and number. Personalization is either embroidered or printed depending on the item.